Highly detailed large artwork of the running "Mustang Horse", with the script "Enjoy the Ride!" 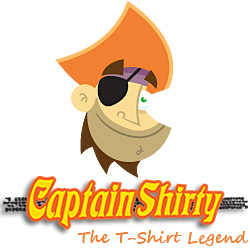 below the image, as shown above on the front of the tshirt. 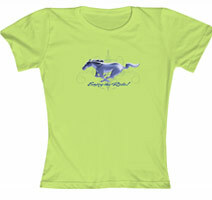 This official licensed product from Ford Motor Company is an extremely popular tshirt amongst the avid ladies mustang enthusiasts. Colour of the shirt is lime green and the striking colours of bluey/purple and white make this tshirt really stand out. It is a very classic and stylish print.